From Monday, October 31st to Friday, November 4th, BSGE’s senior council organized its annual Spirit Week. Spirit Week, According to Jennifer Shin ’17 and Kyra Richardson ‘17, two members of the senior council, this was a chance “to get everyone of all grades to participate” in a school-wide event. The goal was to make each day easy to partake in, learned after the unfortunate “Fancy Friday” of last year, a day where very fewstudents participated. Flannel Friday took its place as “it was easy to participate in and everyone has a flannel; the whole point of the week is to get all grades to join,” Jennifer explained. With the event’s more simplistic nature, it gave more freedom to students so that everyone could join. It’s Halloween! Come to school in your costume–dress up as a character from your favorite TV show or whatever else you want. Just don’t wear masks! 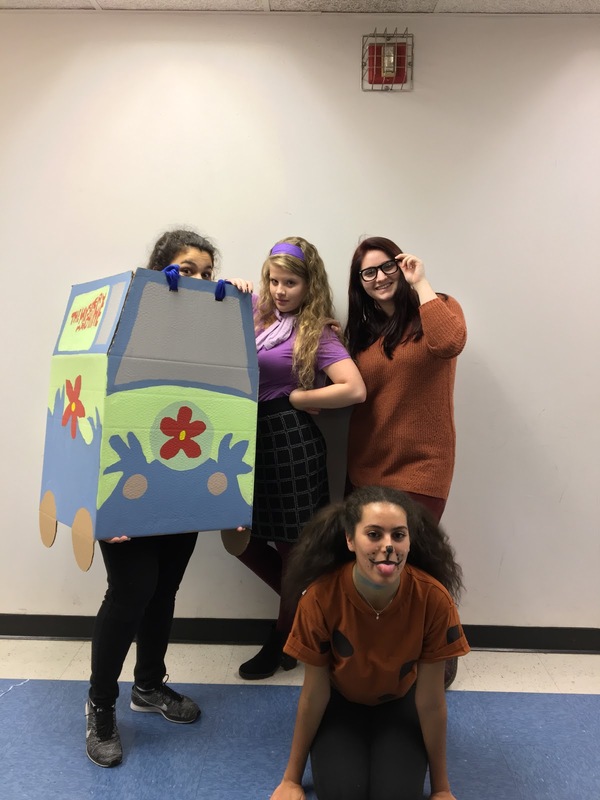 Seniors Elizabeth Levkovich, Maddalena Carusone, Emily Costa, and Eleni Zamagias dress up as characters from Scooby Doo. Wear the same outfit from head to toe as your friend. Feel free to roll out of bed, eat breakfast and come straight to school—– while still in your pajamas! Flannels have been popular since the 1990s and still are today. Wear your favorite one on Friday. 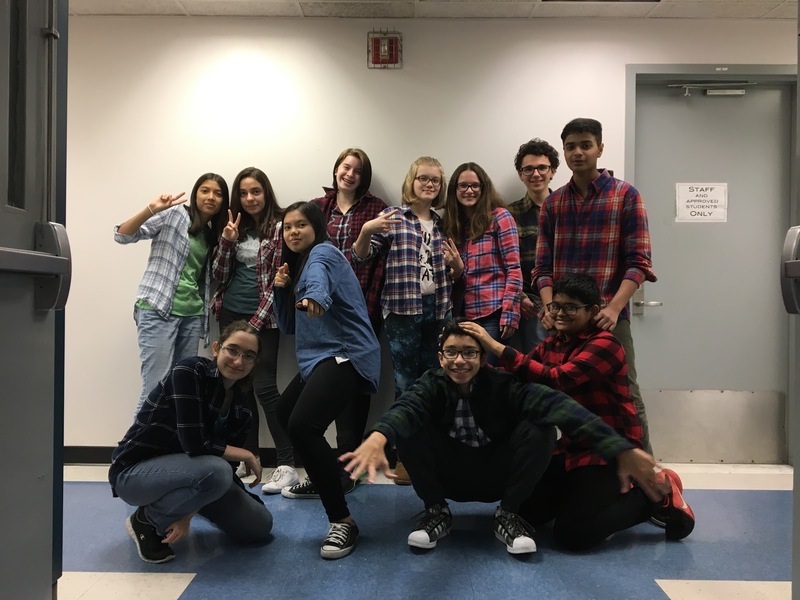 Freshmen Lalla-Aicha Adouim, Sofija Obradovic, Kayla Powers, Olivia Wegrowski, Anela Salkanovic, Logan Stewart, Anab Khan, Harikleia Sparakis, Helen Tran, Elio Zebinato, and Murtaza Ali pose for a group picture in their flannel.